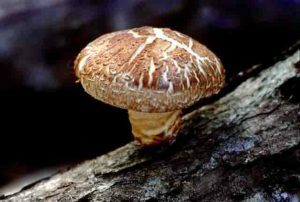 Shiitake mushrooms are a very tasty and healthy mushroom. They were used in ancient China as medicine for 6000 years. It’s not only tasty but also very healthy. It’s full of vitamin B and D. They help fight obesity; they make the immune system stronger. They also help against cancer. It also makes your heart strong. It lowers the cholesterols in your body and many more. Here are some of the ways this mushroom can be identified. Cap: Their cap is light to brown. Often withwhite. Spore print: They’re spore print is also white.